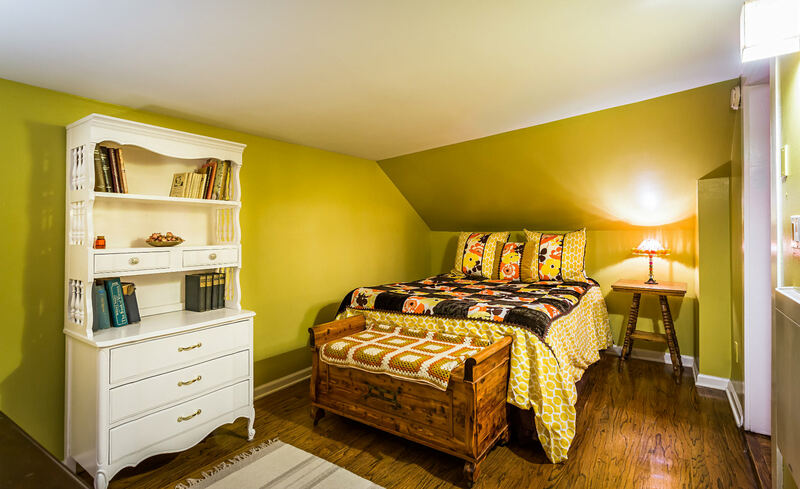 The Bessie Room, a lovely choice of lodging in the Boarding House, is reminiscent of the 1960’s, and decorated in rich yellow and orange hues; the queen-size bed is adorned with bright floral bedding that accentuates the vintage feel. 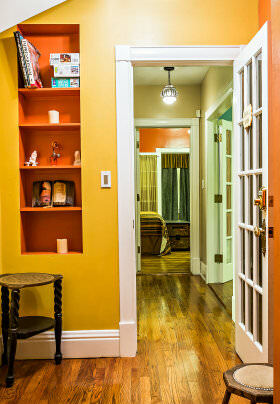 This room is truly a happy and warm place to retreat to during your trip to the city of Albuquerque. 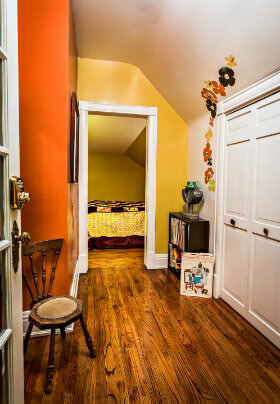 Full bath is down the hall and is shared with the William Room.